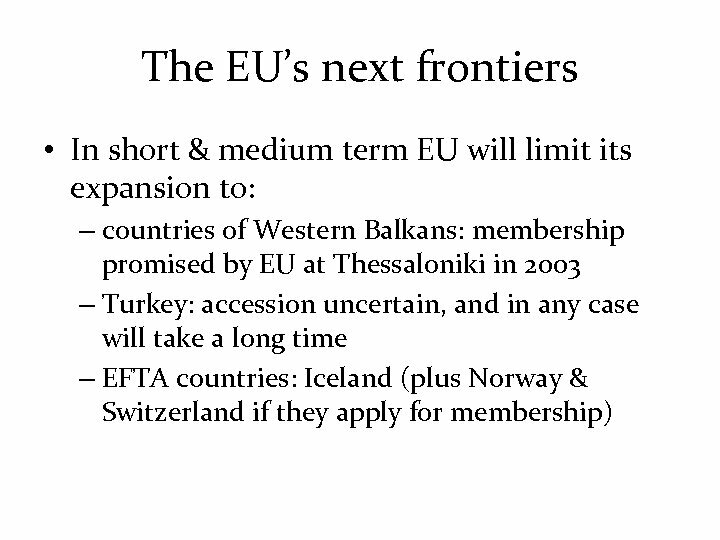 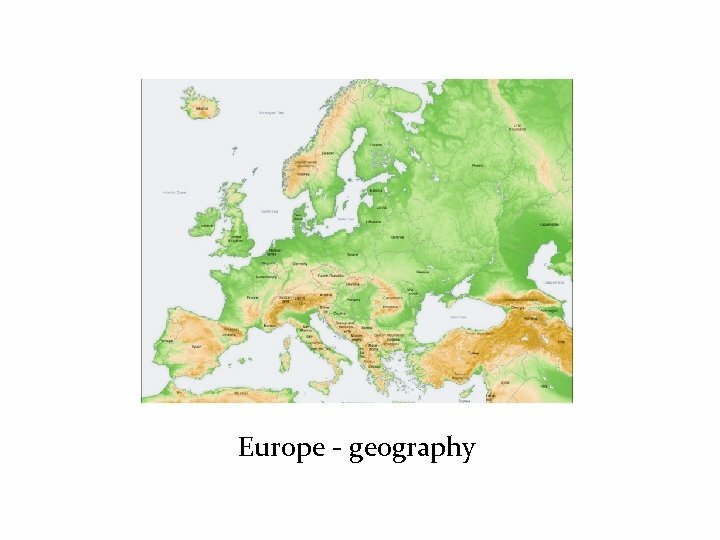 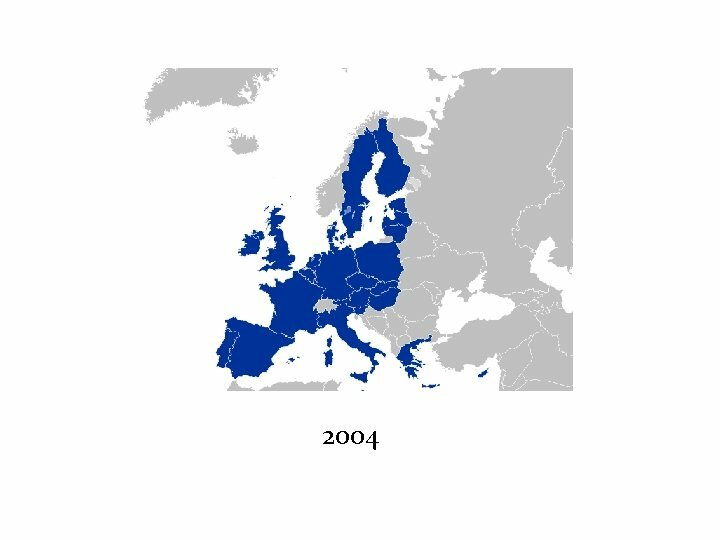 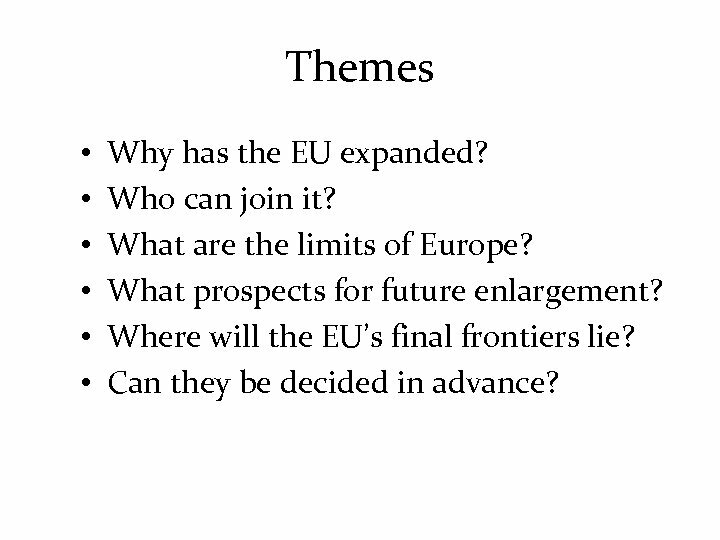 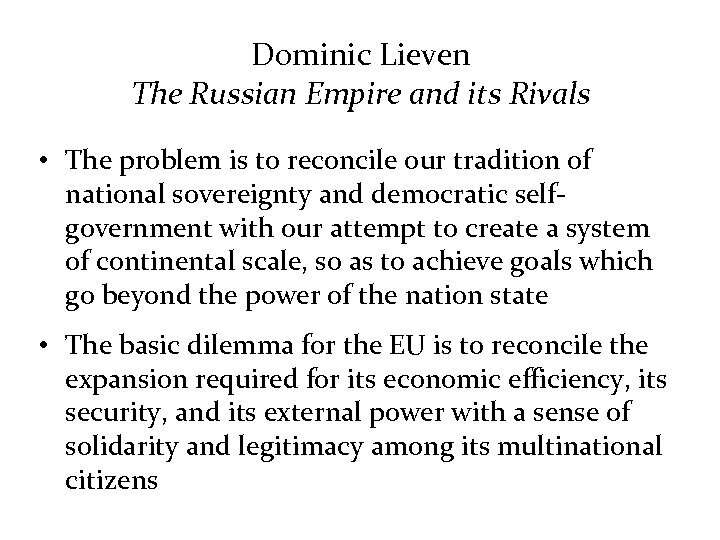 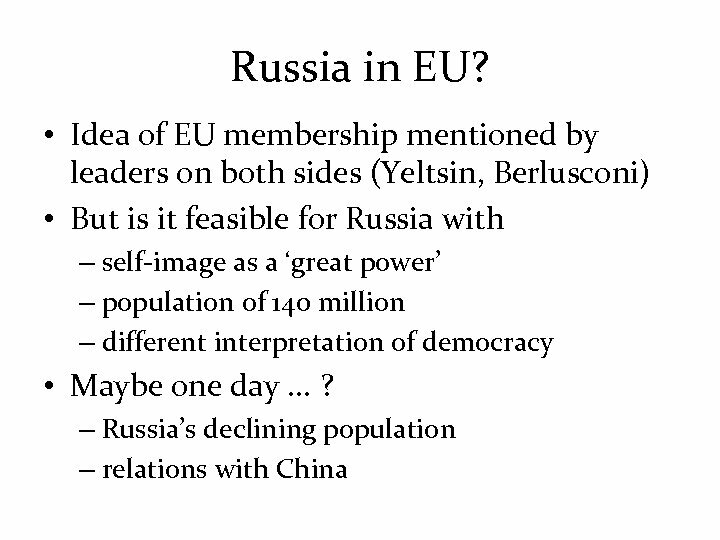 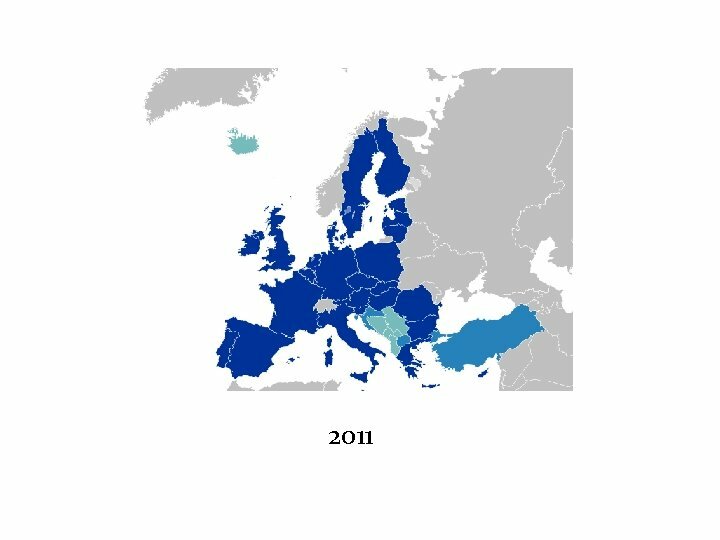 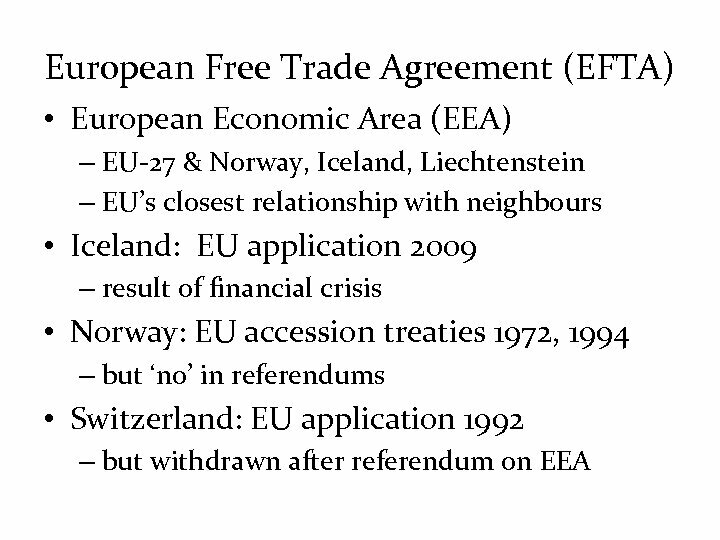 Themes • • • Why has the EU expanded? 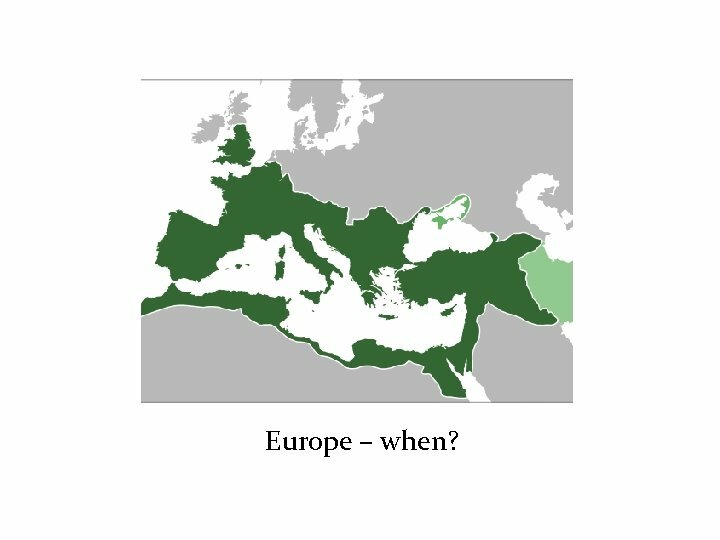 Who can join it? 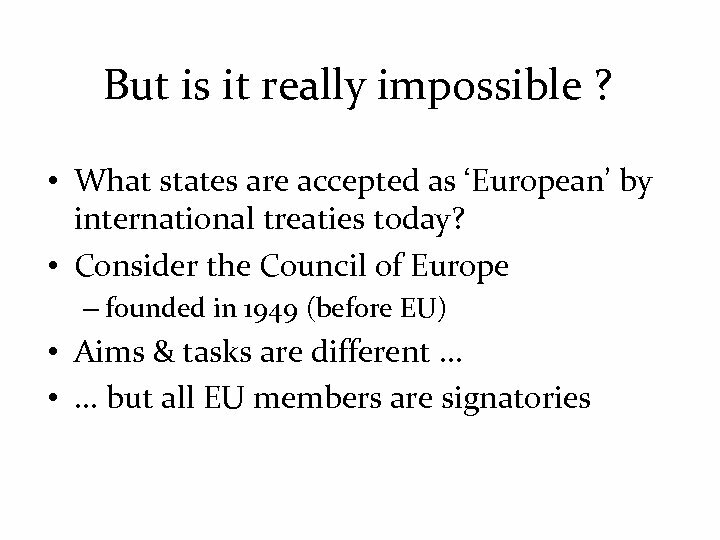 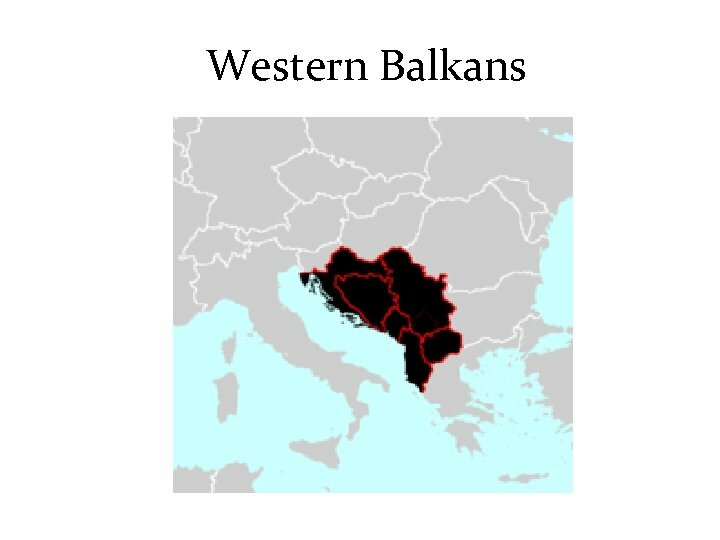 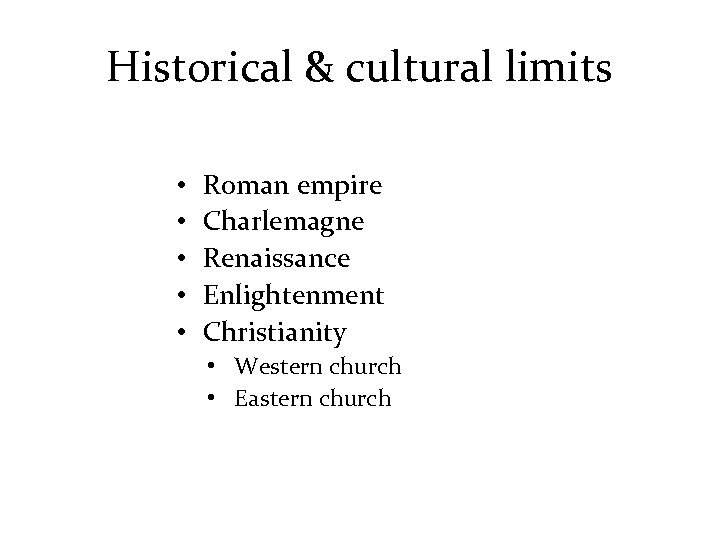 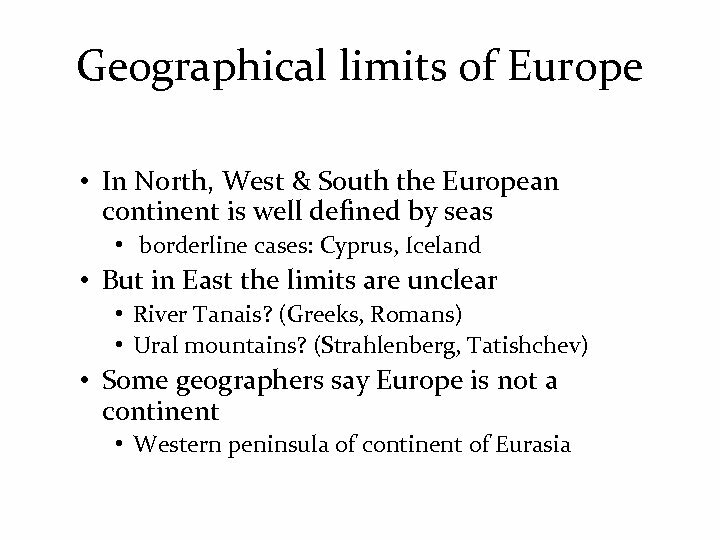 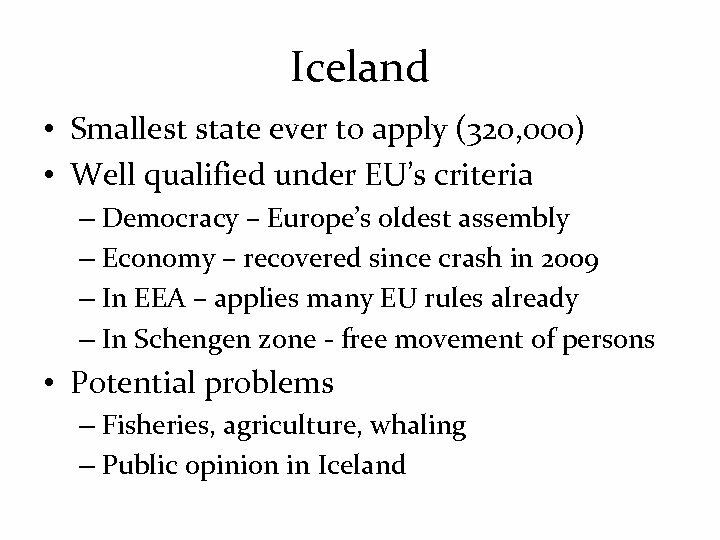 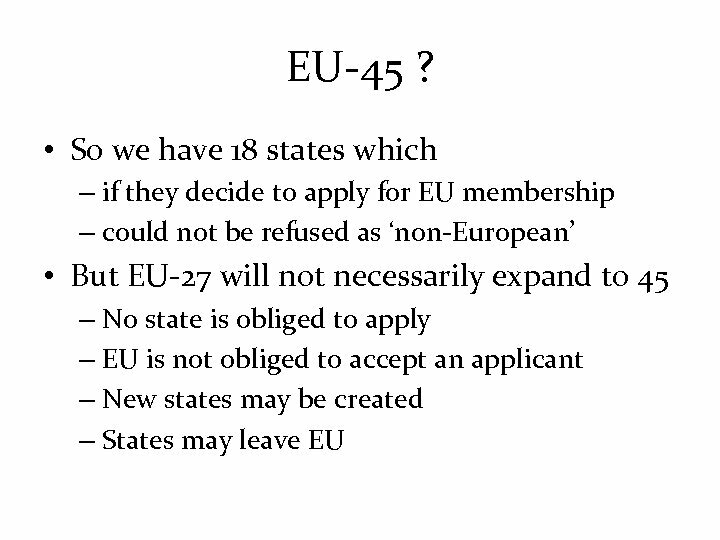 What are the limits of Europe? 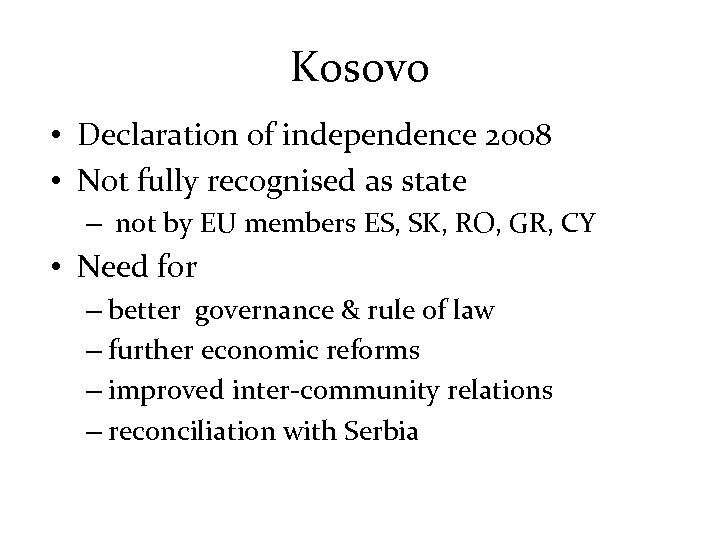 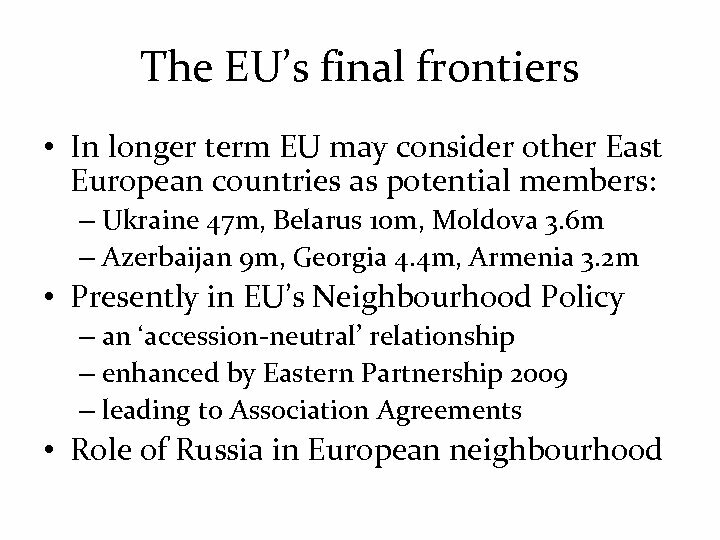 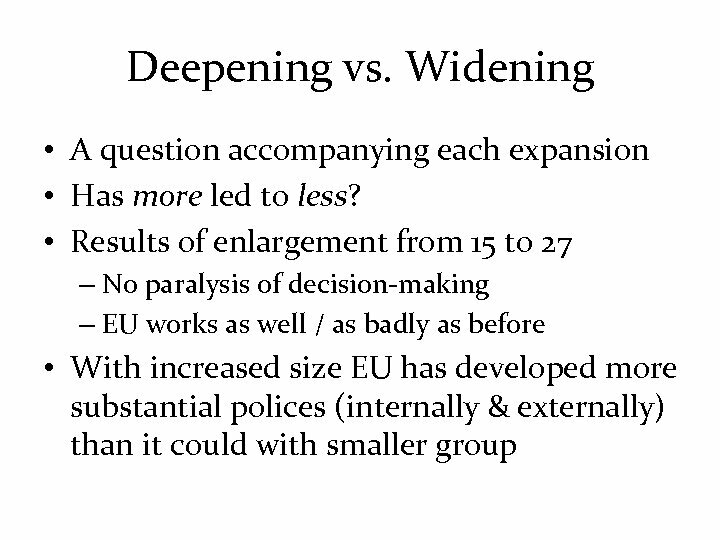 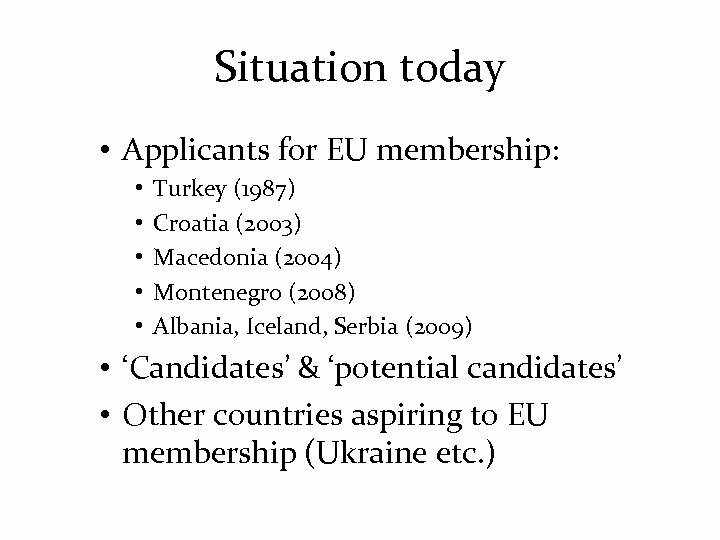 What prospects for future enlargement? 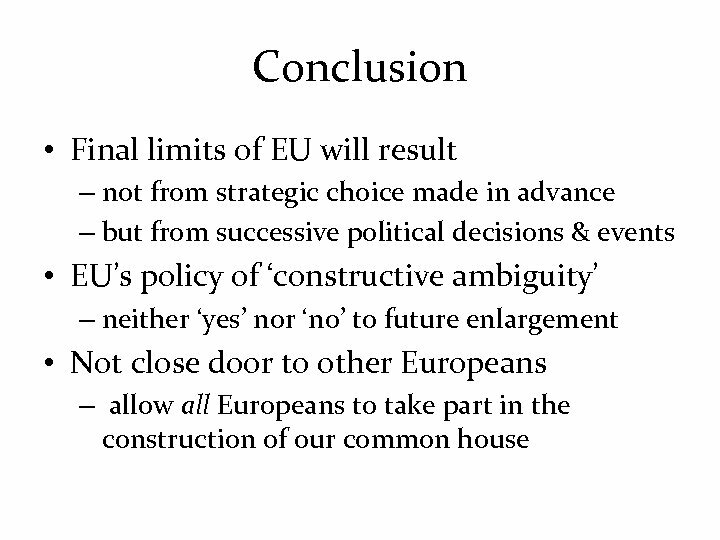 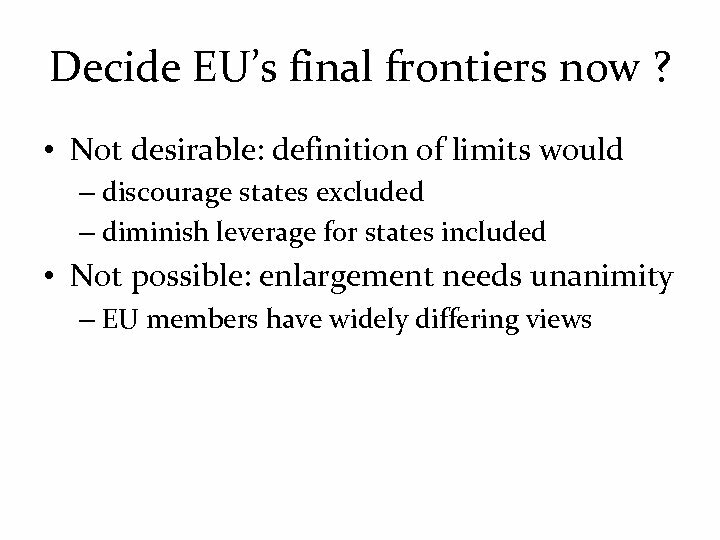 Where will the EU’s final frontiers lie? 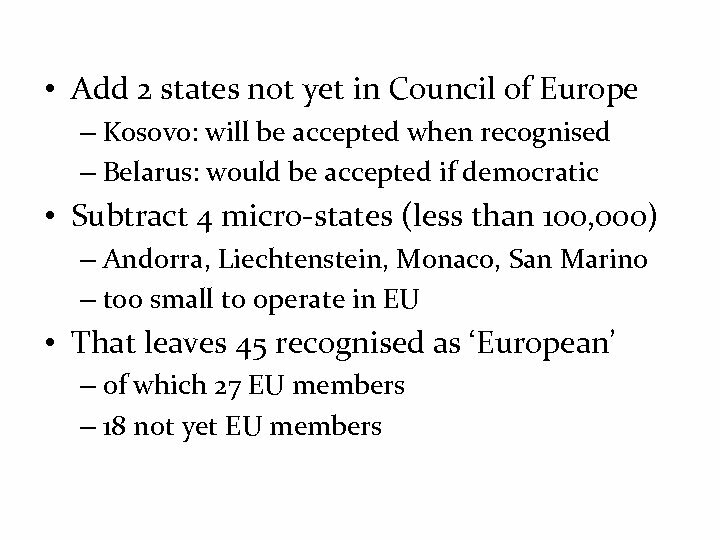 Can they be decided in advance? 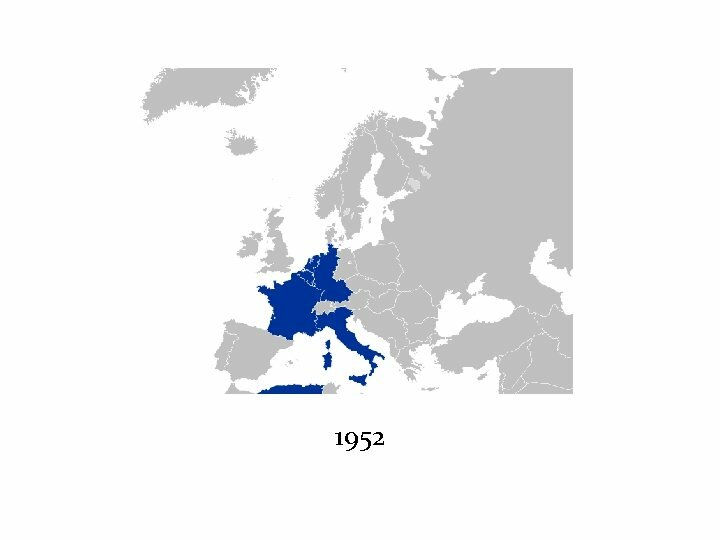 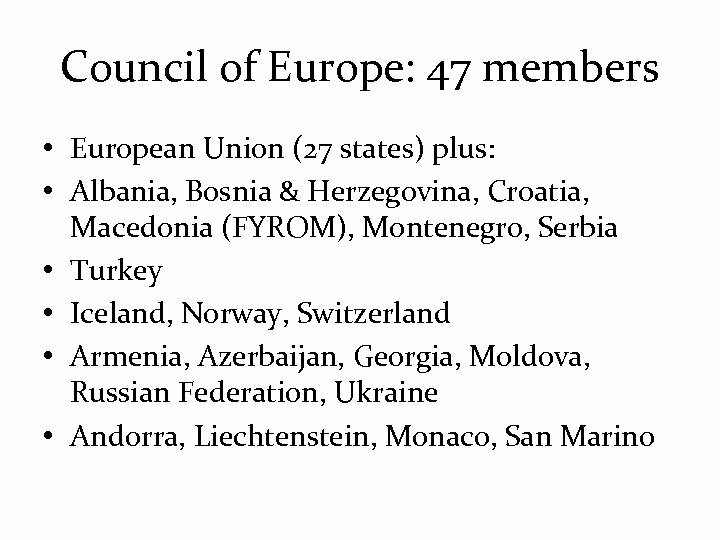 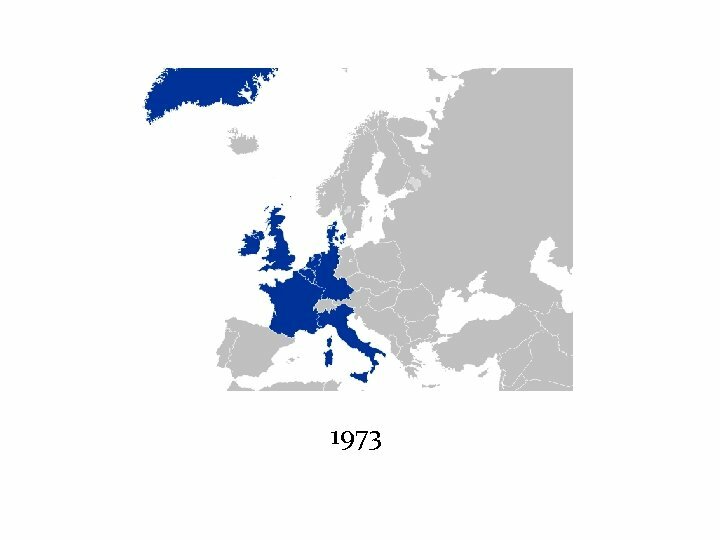 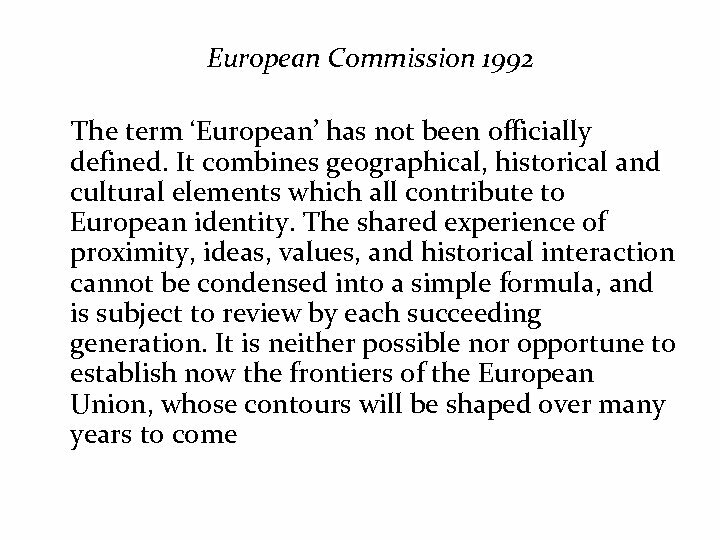 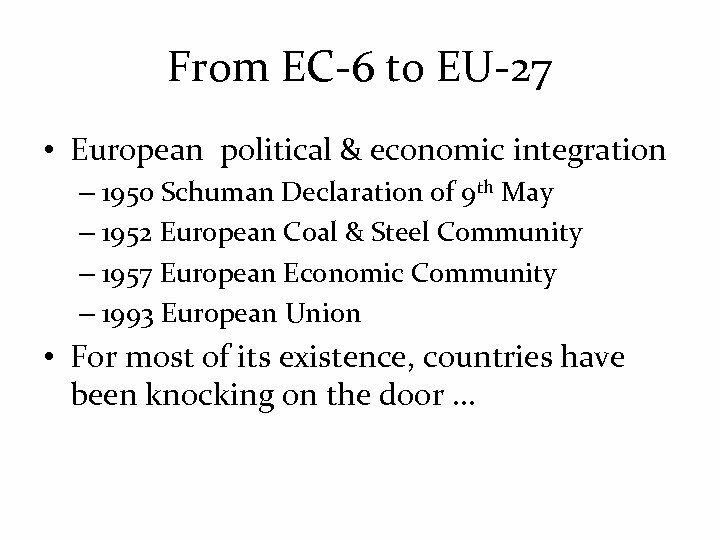 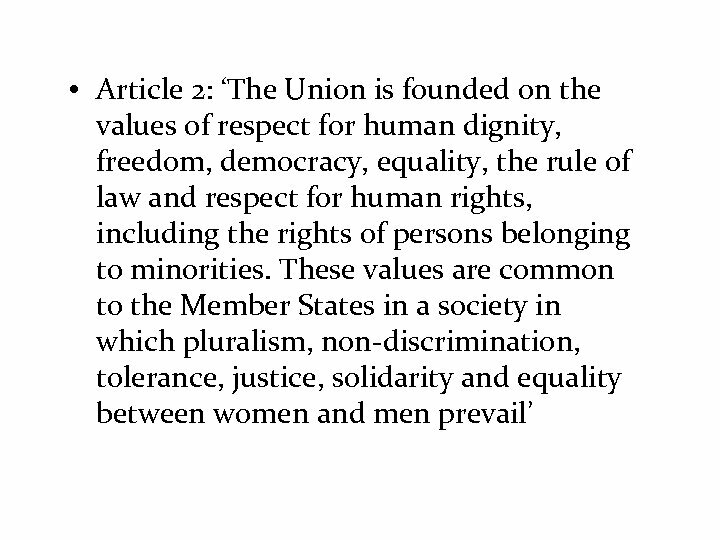 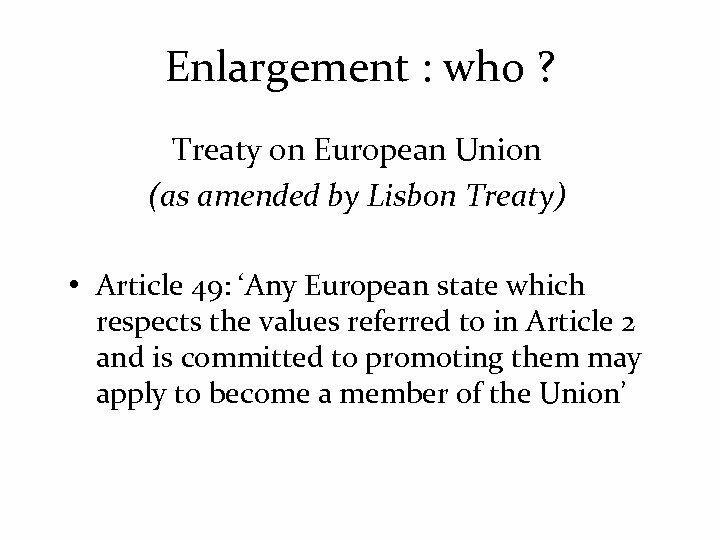 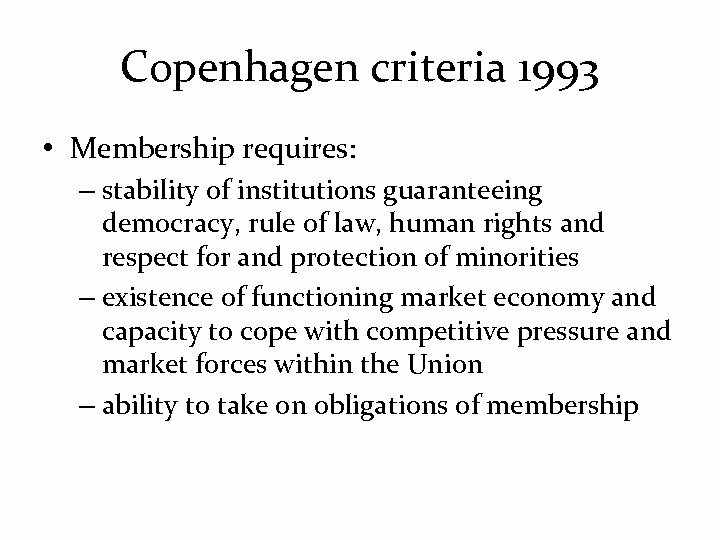 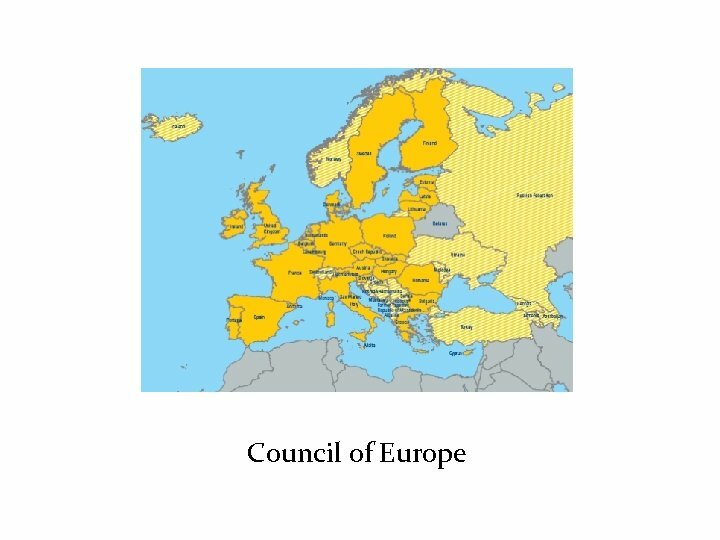 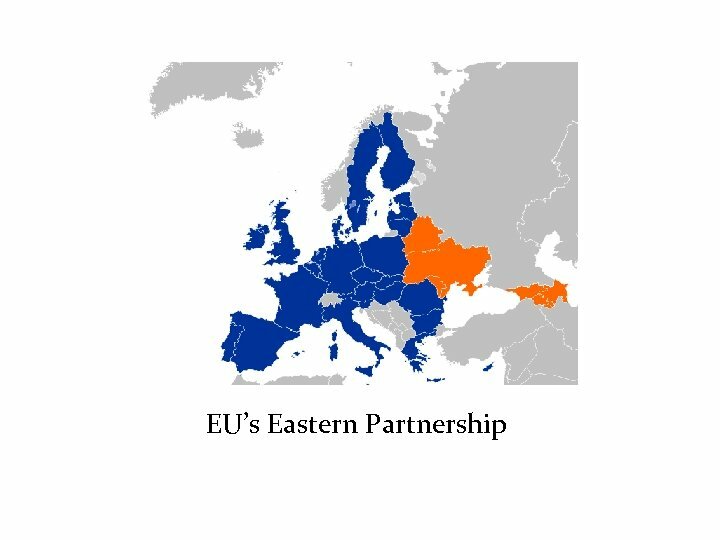 From EC-6 to EU-27 • European political & economic integration – 1950 Schuman Declaration of 9 th May – 1952 European Coal & Steel Community – 1957 European Economic Community – 1993 European Union • For most of its existence, countries have been knocking on the door. 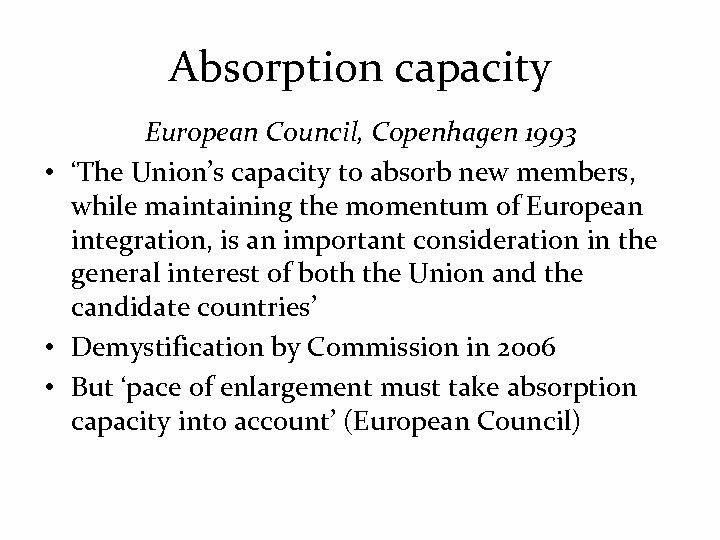 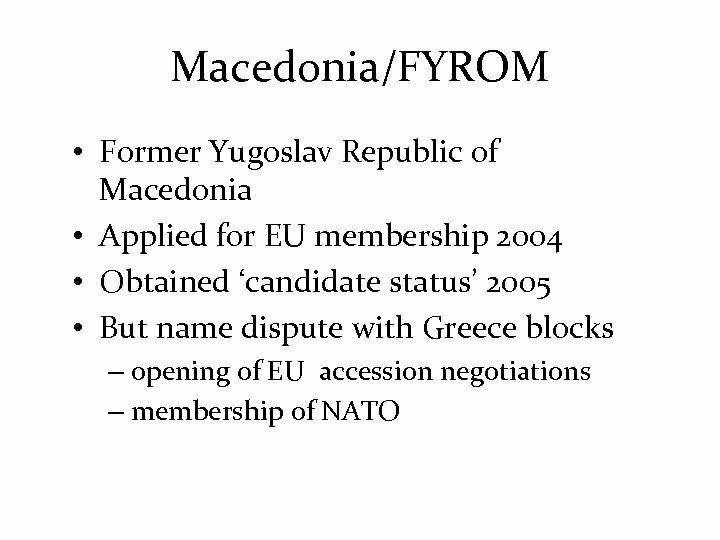 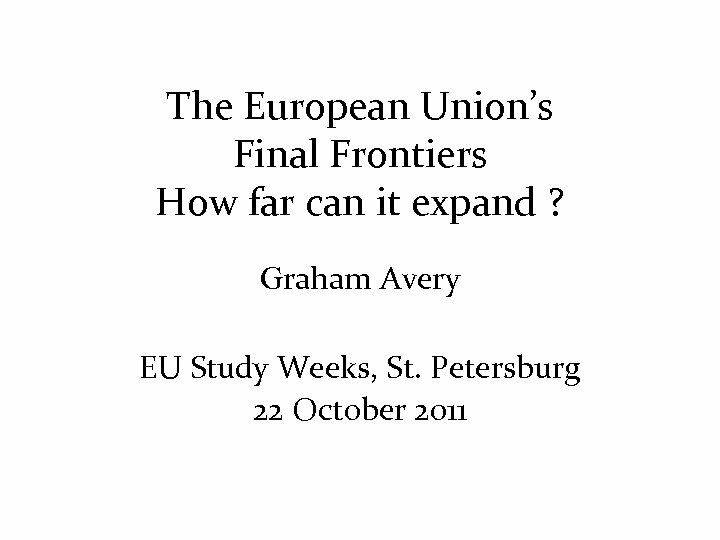 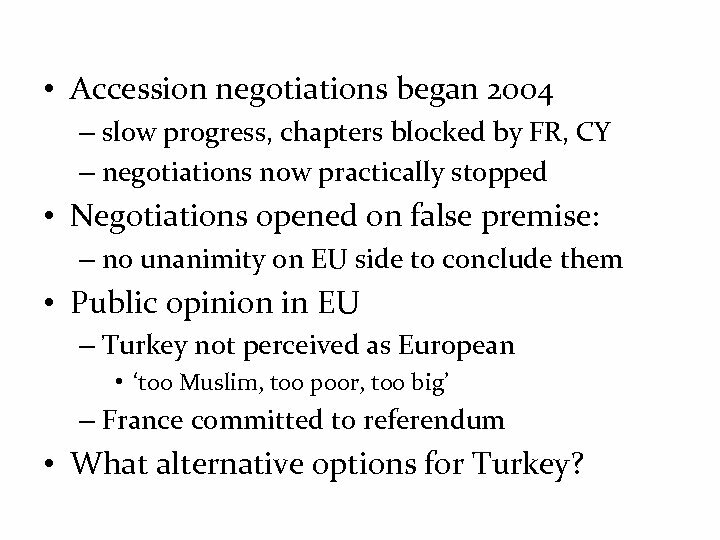 . .
• Accession negotiations began 2004 – slow progress, chapters blocked by FR, CY – negotiations now practically stopped • Negotiations opened on false premise: – no unanimity on EU side to conclude them • Public opinion in EU – Turkey not perceived as European • ‘too Muslim, too poor, too big’ – France committed to referendum • What alternative options for Turkey?